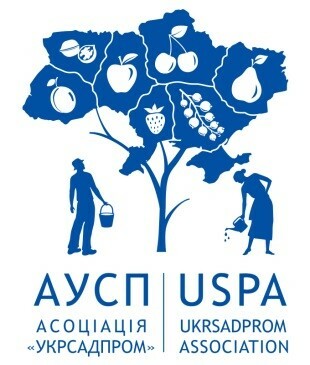 According to the document, the WNISEF provides technical support to the projects (particularly, fund raising, information and consulting services, assistance in the attraction of external consultants), focused on the export development of the fruit and berry products supplied by the Ukrainian producers. The participation of SME-members of the “UKRSADPROM” Association in foreign international exhibitions is expected to be the first result of cooperation. WNISEF cooperates with industry associations and Chambers of Commerce to extend the participation of Ukrainian SME in international trade, to give a boost and help organizations, projects, and initiatives that provide assistance to many exporters, to grow and become successful, self-sufficient, and learn how to provide the exporters with the most appropriate assistance. SMEs were generally focused on the domestic market or supplied products to the traditional export markets of the neighboring countries. Although such enterprises now double their efforts to expand their business by exporting to new markets, it remains a challenge for many of them. Dmytro Kroshka, Chairman of the “UKRSADPROM” Association: “WNISEF’s technical support will not only give the Ukrainian gardeners a chance to introduce their products to the new markets and gain experience of being a part of major industry hubs of the global industry market, but will also allow them to become an equal part of the global market of fruits, berries, and nuts, as well as to contribute to the creation of the “Ukraine” world brand that will be positively associated primarily with tasty and high-quality fruits and berries, which will surely carve out a niche in the global market”. “UKRSADPROM” Association is a non-profit organization and national self-regulated industry association. It consolidates gardeners, producers of fruit and berries, producers and suppliers of planting material, equipment, raw materials, other materials and services for horticulture and fruit and berry production, other business entities and public associations engaged in the production and processing of fruit and berry raw materials. The Association activity encompasses 200 enterprises.